This is a very sweet romance, driven by a chatty heroine who is very innocent. It’s a light hearted tale with a message about loyalty and betrayal. 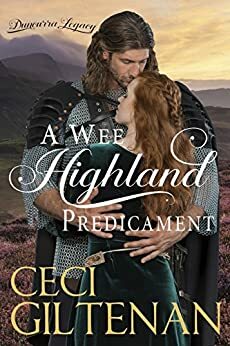 When Lucas Grant rescues the daughter of an enemy Laird, he sees an opportunity to enrich his clan by taking her hostage. Not wanting Ailsa to be afraid he doesn’t tell her she is his hostage. They strike up a friendship during their road trip and he grows enchanted with chatty Alisa as she gives him details of her family life. But he dreads the future when she will discover he is her kidnapper. This is good natured HR that doesn’t take itself too seriously. It reminds me of Kiera Montclair’s books. Recommended reading. A lovely story that entertained tbroughout with some challenges and great characters. It was a fun read kept e interexted throughout. 5.0 out of 5 starsWhat a delight! I enjoyed this story so much, I read it this afternoon! Such a page turner! You have a real knack for good characterization! The plot was quite well put together. The tone was perfect! Thank you so much for a wonderful ramble with Scottish clans! 5.0 out of 5 starsGotta love this hero! This was a great read. It was 'plot twisty' enough to hold my attention but anything Ceci writes is interesting. Check out her Pocket Watch series, loved all of them! 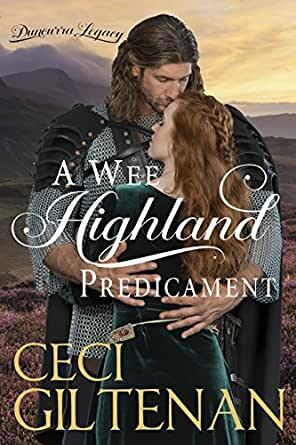 Check Giltenan has written a very exciting story about love and adventure in the Highlands. This story was so intriguing I could not put it down. I would recommend it to anyone.